A haven for style and one-of-a-kind works of art, Blue Heron is your destination for everything that you need to make your house into the home you’ve always dreamed of. 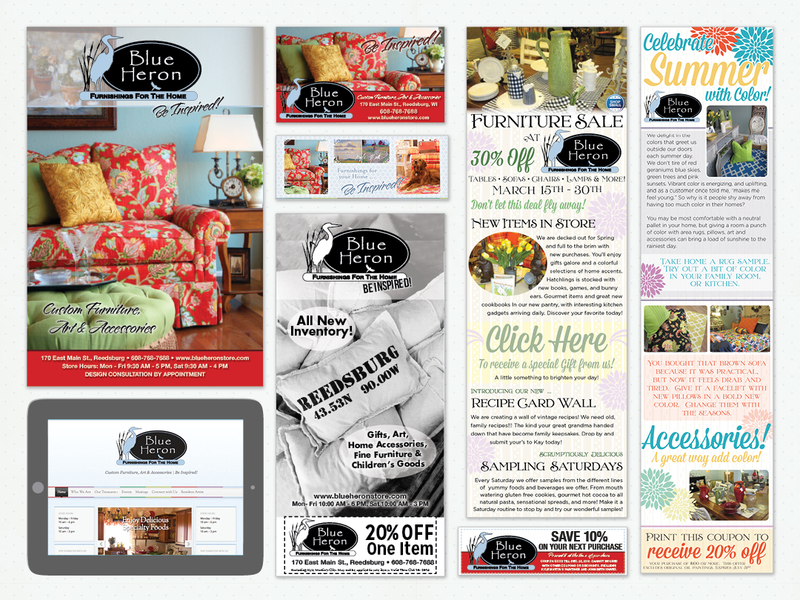 Our creative team assists Blue Heron with Email Campaigns, Ad Publication and Website Design. We are in the midst’s of updating their brand, so stay tuned for updated work soon!